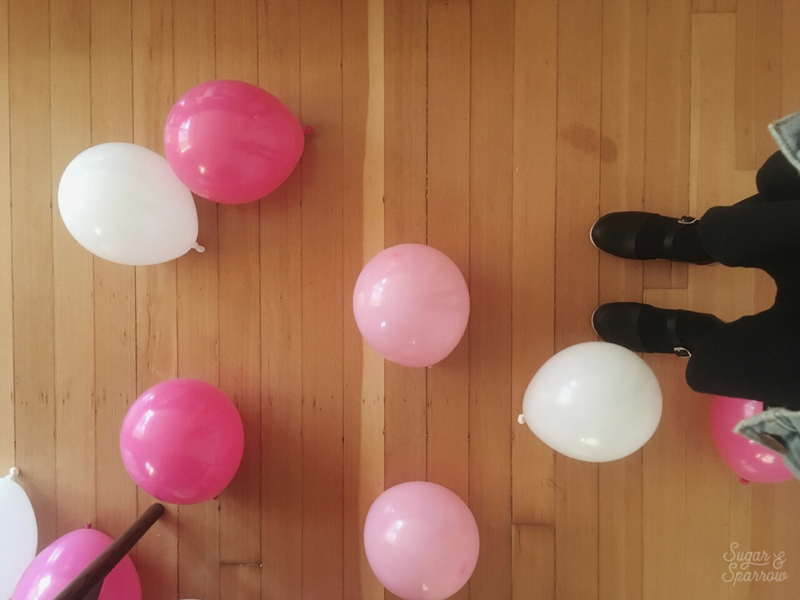 Last week, I got to help plan a party. 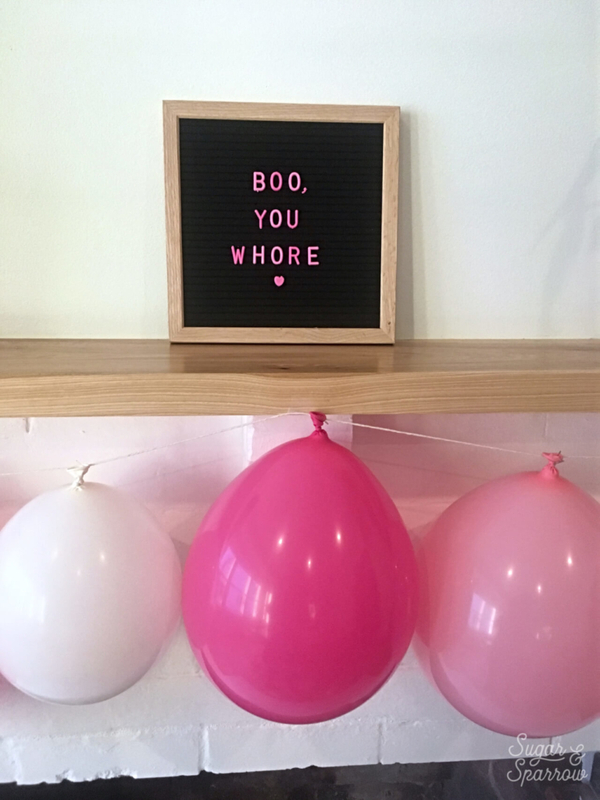 Not just any party though, there was a surprise Mean Girls theme involved! I was hyperventilating with excitement from the time we started planning to the time of the big reveal. 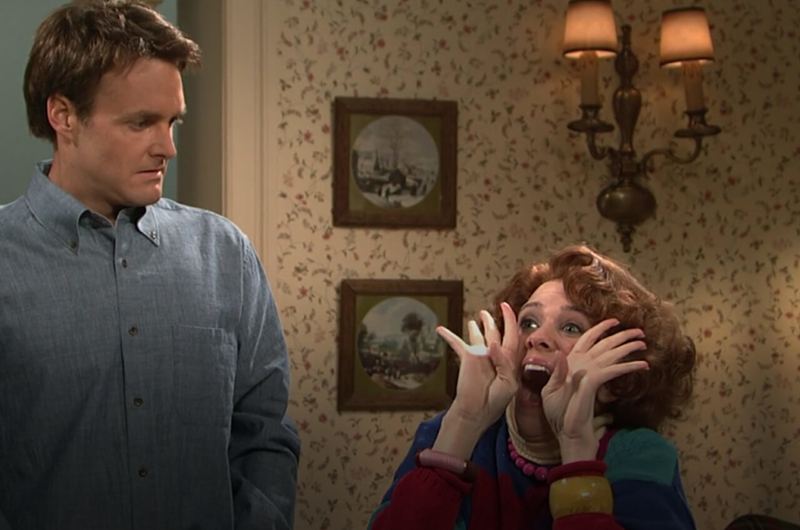 I’m pretty sure that Sue from SNL is my kindred spirit. 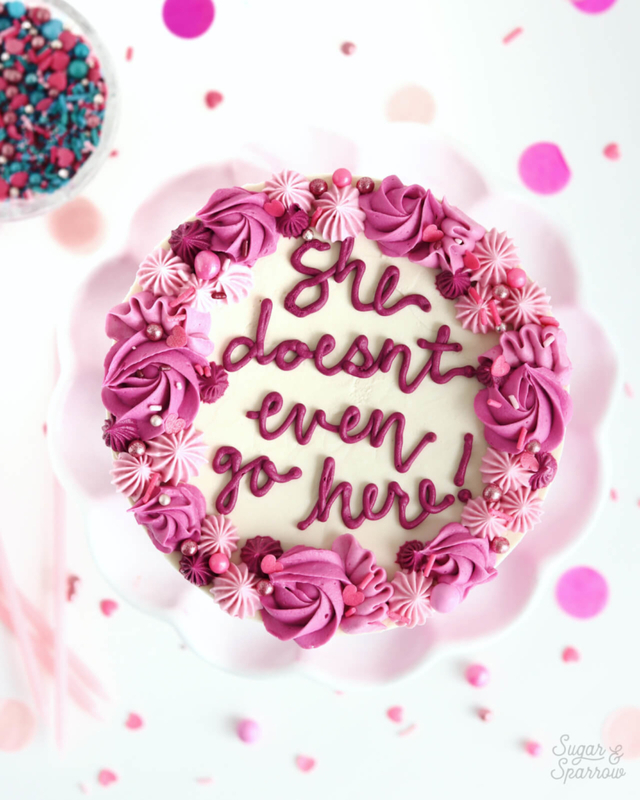 The party was for my friend Sarah, who happens love Mean Girls and is also real good at making pretty cakes. In other words, she’s very cool. 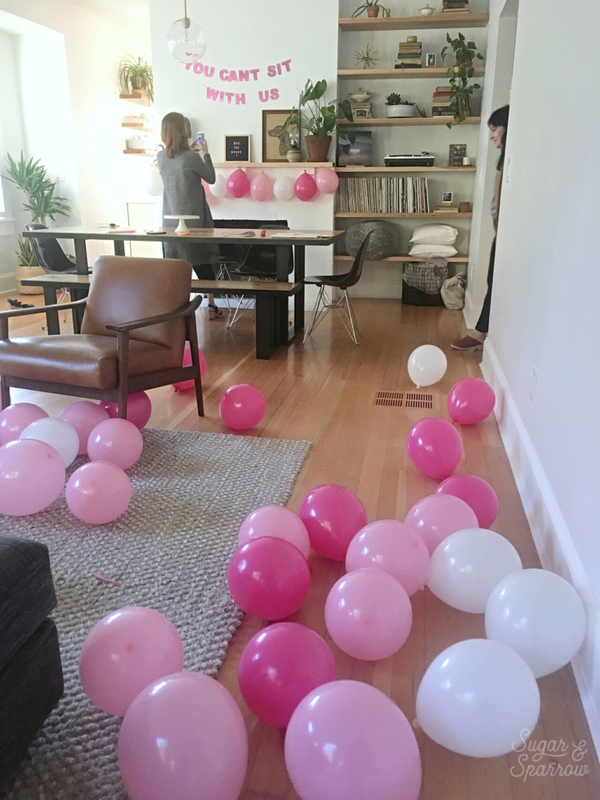 To prepare for the party, me and a few other cool gals got together to watch Mean Girls for inspiration while we crafted all the party decor. Watching the movie back gave us lots of fun ideas for making it over the top. We kept track of all the best quotes and we figured out a few ways to incorporate them throughout the decor. 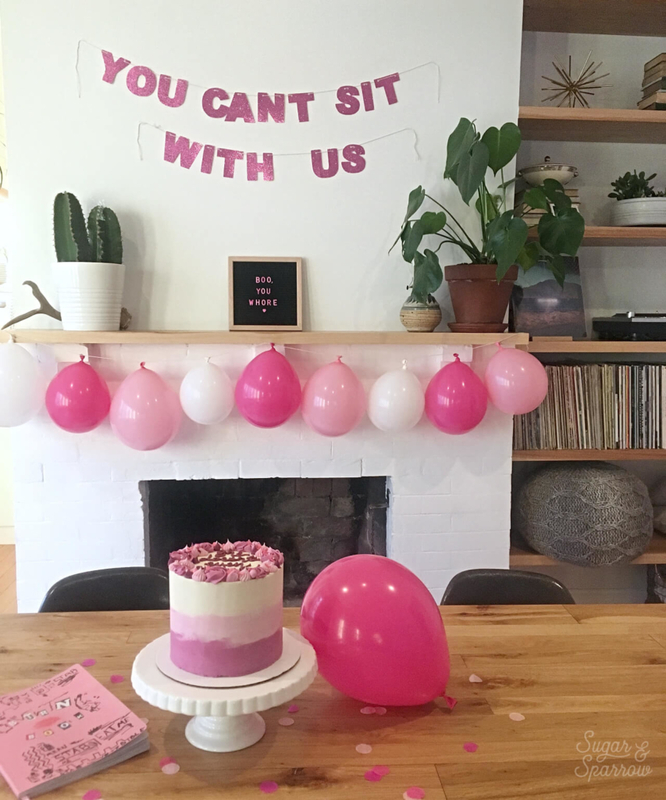 First, we made a glittery pink “you can’t sit with us” banner. After searching the internet for a quote banner to buy, we decided we could make it ourselves and it actually ended up being so easy! We found some glittery pink card stock, printed out some letter templates on computer paper, traced the templates onto the glitter paper, and cut them out carefully. We used a small hole punch to punch two holes at the top of each letter, then strung them all on some white baking twine. 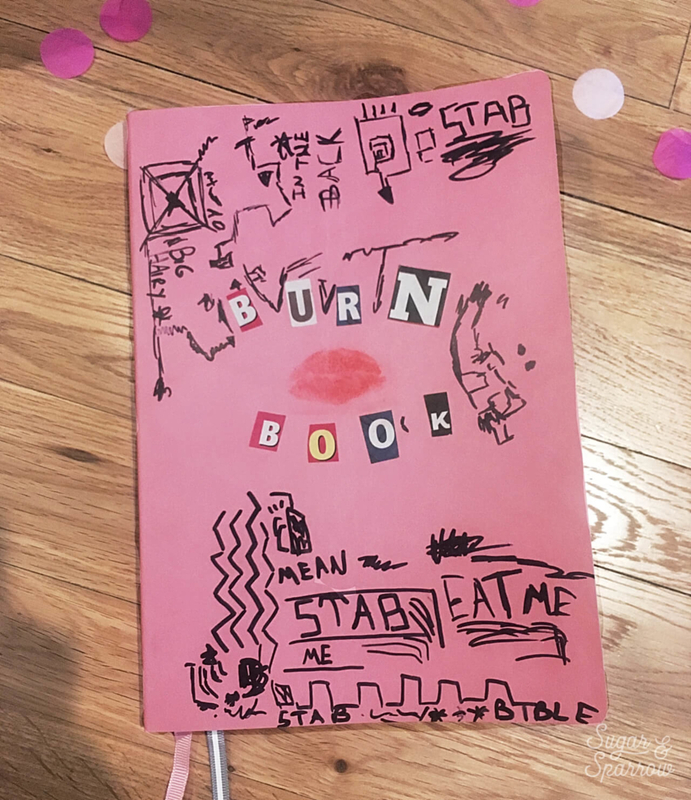 Then, we transformed a pink notebook into a replica of the Burn Book! We printed out pictures of everyone on the guest list and wrote some quotes from the original burn book in there to really go the extra mile. 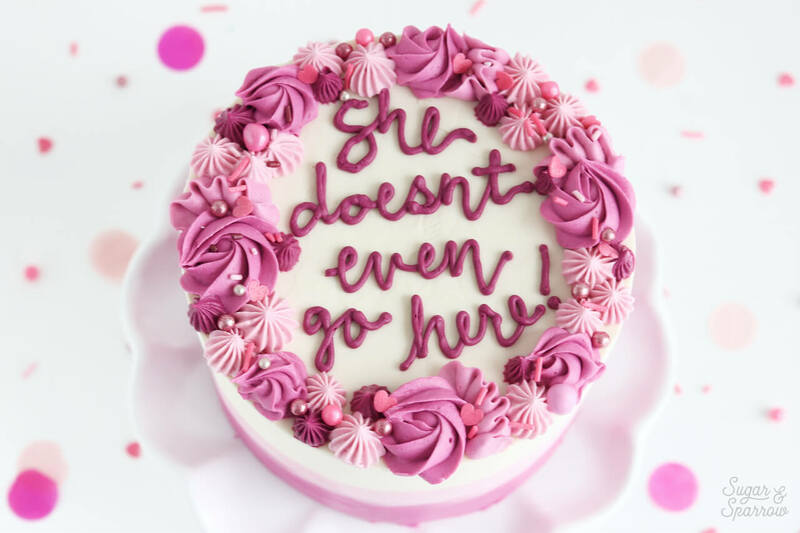 For the cake, I made sure to keep with the pink color palette and mixed vanilla buttercream with a few different shades of Fuschia and Maroon gel pastes by Americolor. 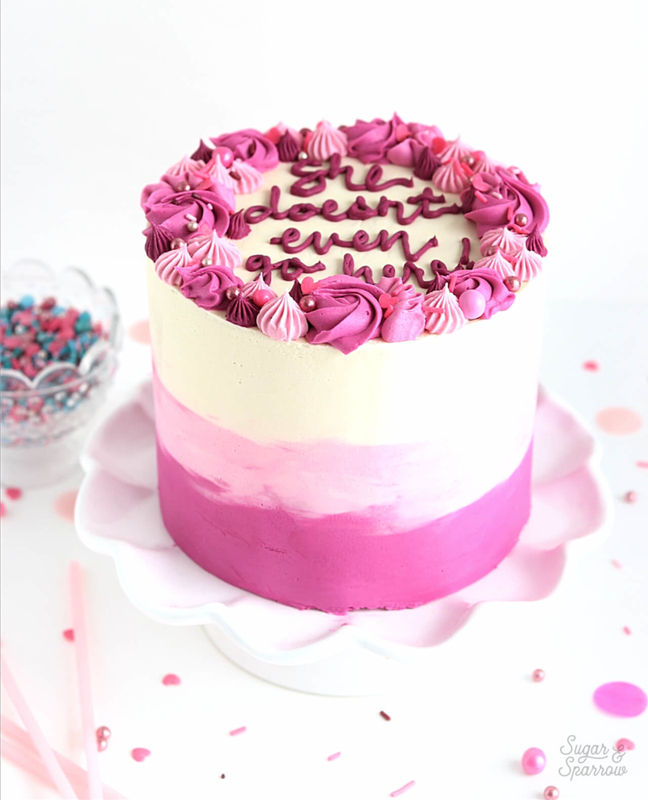 After decorating with a messy ombre on the side of the cake, I used my favorite piping tips (Wilton tips 1M, 4B, and 104) to create a pretty border and sprinkled it with some pink sprinkles for extra texture. I don’t know if you’ve ever written on a cake with buttercream before, but it was so nerve racking for me! I must have done twenty practice rounds on wax paper before mustering up the nerve to write on the cake. Wilton’s tip 3 is the perfect sized opening for writing though, so it wasn’t too bad once my hand stopped shaking all over the place. 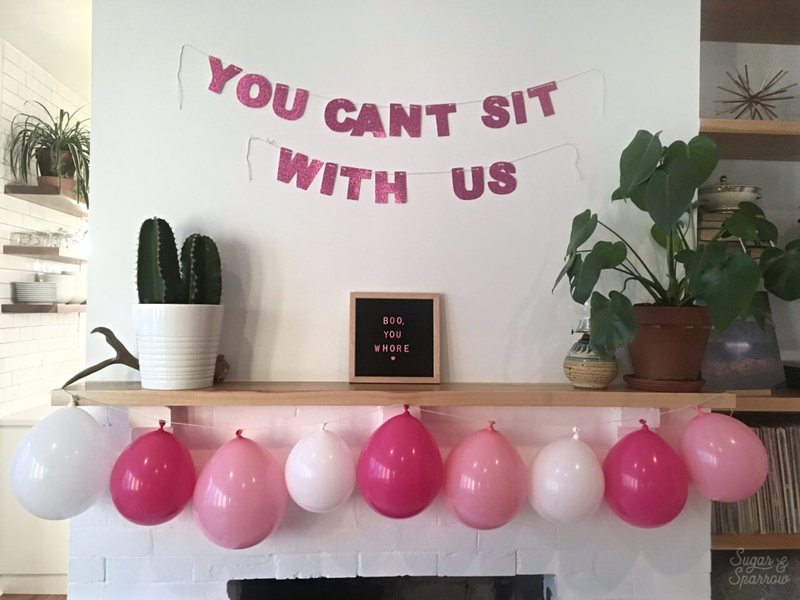 Now all I want to do is throw themed parties from here on out!